12096 LED Lighting Modules offer maximum current of 1500mA. 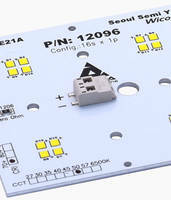 12176 LED Lighting Modules feature input and output Poke-in connectors. 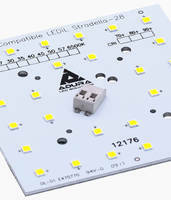 12176 LED Lighting Modules come in square board size of 3.189 in. x 3.189 in. and offer input voltage of 20-24V. With CRI of 70+, 80+, 90+, unit features operating current of 500-700 mA and maximum current of 700-800 mA. Product is compatible with LEDiL STRADELLA LENS and comes in CCT of 2000K, 2200K, 2500K, 2700K, 3000K, 3500K, 4000K, 5000K, 5700K, 6500K. 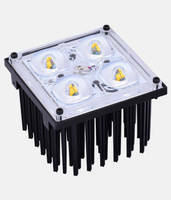 1966 - GLA Horticulture LED Lighting Modules are are IP 65 rated. 1966 – GLA Horticulture LED Lighting Modules feature SinkPAD™-II printed circuit board technology. 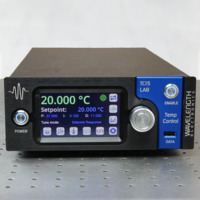 Units are embedded with graphite thermal interface and offer current of 700 mA and voltage of 43-46 V. Products come with a CRI of 82.5 and photosynthetic photon flux –PPF of 56.22 µmol/s. 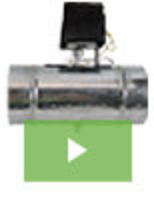 Modules feature lumen flux of 3619 lumen and deliver lumen efficacy of 122.2 LPW. Graphic User Interface comes in save and load configurations. 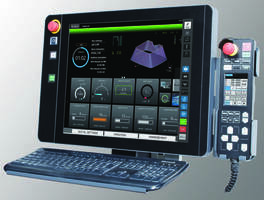 Graphic User Interface enables user to configure and run thread check applications which use SMAC hardware. Unit offers separate tabs for runtime use, setup and tuning functions. Interface features hyper terminal functionality and real time plot of rotary error versus position. 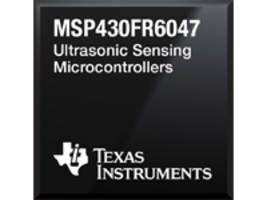 Product offers handshake interface using digital I/O with a host controller.